My heart always lifts when I see a honeybee in my vegetable garden. Like many people, I’ve known for several years that honeybees are in trouble. In 2011, my sister showed me the documentary “Vanishing of the Bees,” which explained how honeybees had been disappearing across the globe due to colony collapse disorder and emphasized the vital role bees play in making our food possible. A few months later, I heard Penn State Master Gardener Pat Mangas talk about how home gardeners can help pollinators thrive. Now, four years later, pollinators still need our help. Just last week, the White House released a three-fold plan to help bees, butterflies and other pollinators survive. Large-scale efforts like this are crucial. Individual efforts help, too, and when I walk through my city neighborhood and see how my neighbors plant native flowers and herbs at the corners of sidewalks, and when I glimpse milkweed pods in front yard gardens, I am happy to see that the city is not a desert for the insects that are essential for one-third of our nation’s food supply. In my own backyard, my landlord devotes much of the small, shared backyard garden to vegetables during the summer, and there’s plenty to encourage pollinators. 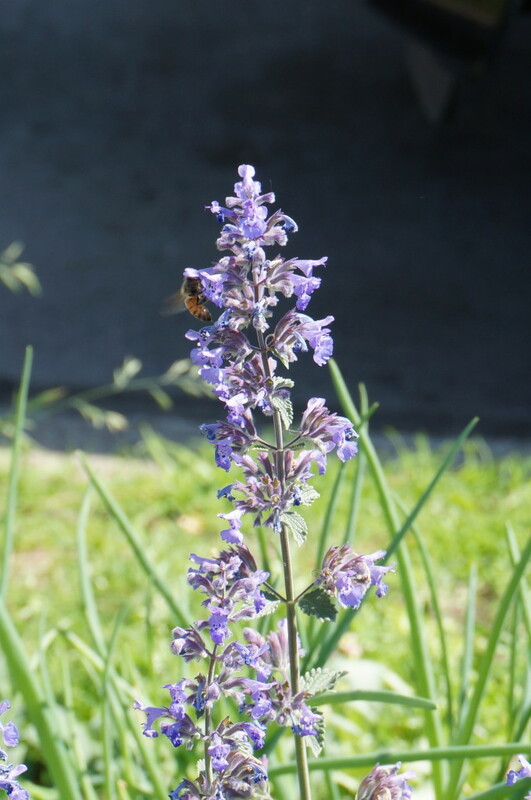 Sirens may jangle in the distance, but we still hear the calming hum and flutter of bees and butterflies, drawn to the variety of bright native flowers the landlord has planted. Here’s how you can encourage pollinators in your vegetable garden, too, even if you have only a small space. This year, Wolff’s has placed a high priority on carrying native plants, making it easy to plant native flowers along the borders of your vegetable garden. 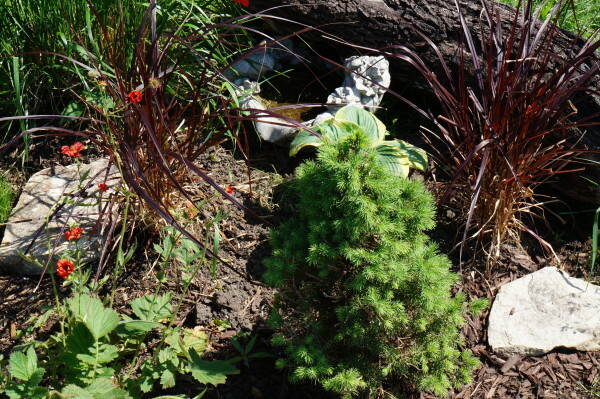 Native plants create a garden in harmony with the native birds, animals and insects. It’s also easier to grow these plants since they are already in their natural habitat. Everyone benefits when you choose native plants, so spend some time planting natives and ripping out those invasives! 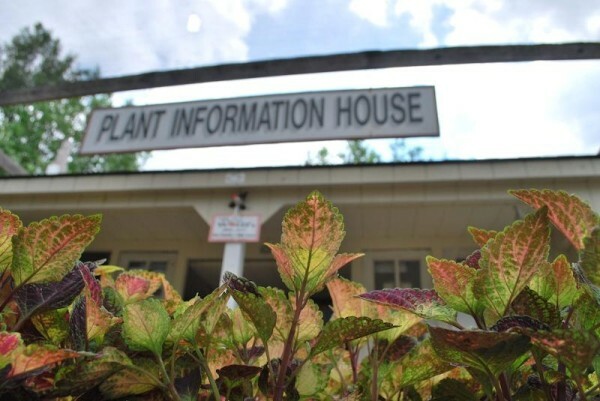 In the Garden Center at Wolff’s Apple House, you will find gorgeous native flowers like bearberry, cardinal flower (as bright red as a cardinal! ), black-eyed Susan, bugbane, goat’s beard, Joe Pye weed, pachysandra procumbens and much more. You’ll also find a wide range of native ferns and striking, varied grasses. You’ll also find many native cultivars, which are hybrids of the original native plant. 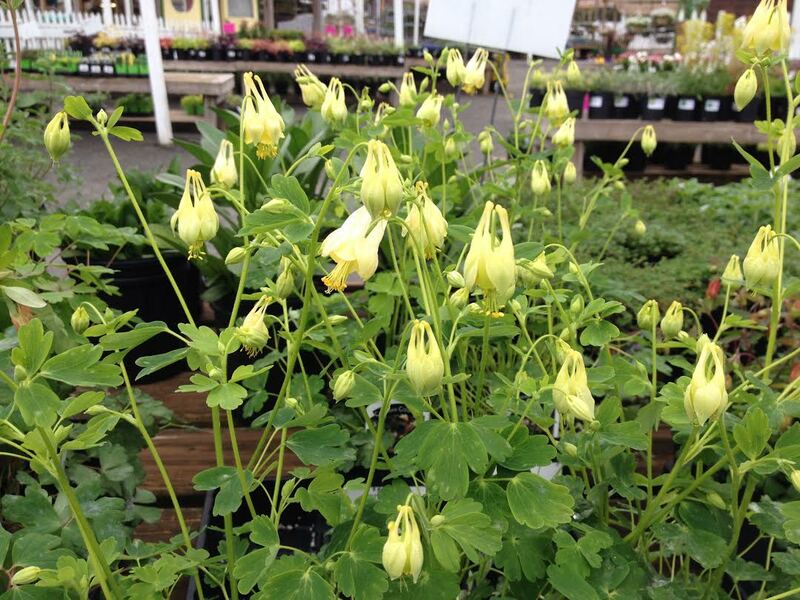 Currently, Wolff’s selections in this category include columbine, two kinds of asters, false indigo, coneflower, bee balm, coral bells, foam flower, summer phlox and several other beautiful native selections. Native flowers are good for pest control. A few years ago, when Mother Earth News surveyed their readers about backyard pest control, readers overwhelmingly responded that planting flowers–loads of them–was their secret to reducing pests in the veggie garden. One reason this works so well is that flowers attract birds and beneficial insects. And once they’re at home, perching on tall flowers or gathering pollen, they may just fancy an aphid or cabbageworm snack! Pollinators need water for drinking and for reproduction. If you already have a bird bath, you may notice butterflies landing for a sip. You can also create small puddles, or just fill a few shallow plastic containers with water. 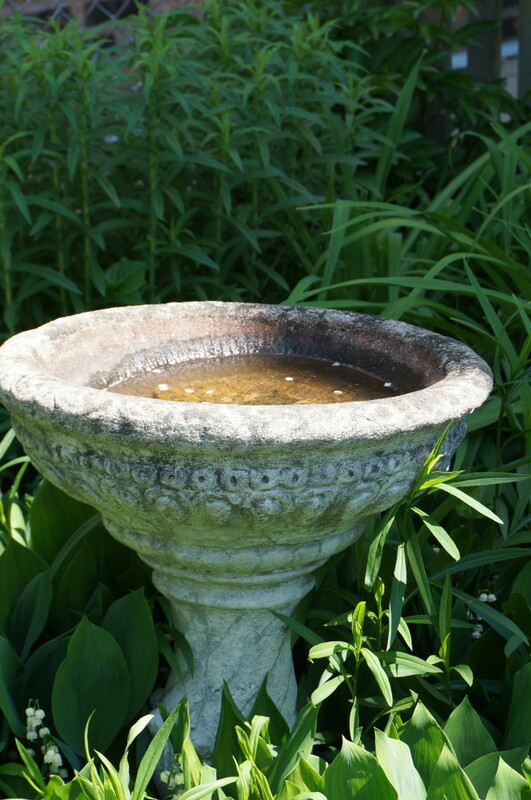 Just be sure to change the water often during mosquitos’ active seasons, cautions the Penn State Master Gardeners site. I have fond memories of walking through the tall grasses in fields around Kutztown University as my roommate and I searched for milkweed and the monarch caterpillars it fed. Our goal was to collect the milkweed, caterpillar and all, and raise monarchs in our dorm room. The caterpillars did create and emerge from their chrysalis, and now, like many people, I can’t walk past milkweed without thinking of them. In the past two decades, monarch populations have declined by over 90%, partly due to lack of native milkweed, the main food source for the larvae. 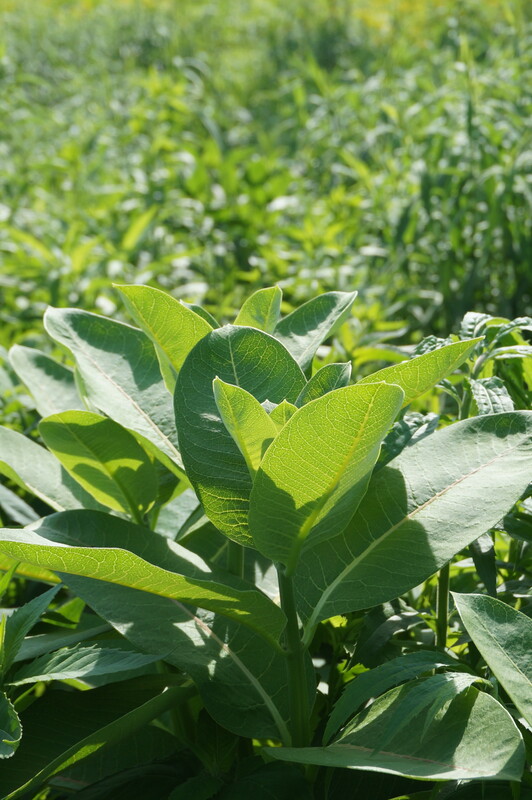 The National Wildlife Federation has a list of a dozen gorgeous milkweed plants native to various regions. The bottom line: When deciding which plants to border your vegetable garden, cater to the larvae, too! As you’re building the garden habitat, make sure it’s a homey place for pollinators all year round. Don’t clear out your whole garden space during the winter! The dried-out stalks of perennials and grasses provide shelter for pollinators during a vulnerable season for them, says the Penn State Master Gardeners web site. Indeed, keeping bees safe during the winter is one of the three goals the White House outlined in its report. The others were increasing monarch butterfly numbers and designating federal land for habitat preservation. Pesticides have been identified as part of what’s causing pollinator problems. Bees, for instance, can either die immediately when they come into contact with a pesticide, or they can take the toxins back to the hive with them, spreading the harm throughout the colony. 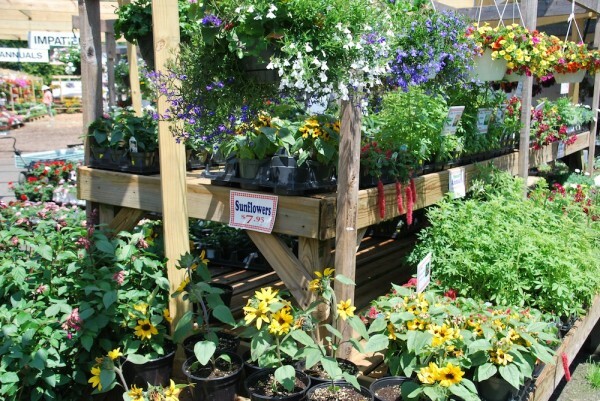 If you’re wondering how to deal with pests in the garden without resorting to pesticides, feel free to stop by our garden center and ask our knowledgeable staff! Unfortunately, even if backyard gardeners avoid spraying pesticides, that might not mean the garden is completely pesticide free. Many greenhouse growers use neonicotinoids, a class of pesticides that scientists have linked to bee colony collapse. 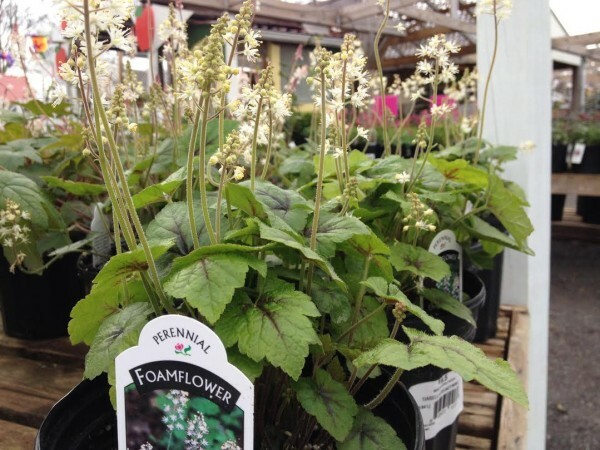 One of the initiatives at Wolff’s has been, as much as possible, to source perennials from growers who do not use neonicotoids. We have found one supplier who has stopped the use of neonicotinoids, and we want to expand our use of other suppliers who share this commitment. We wish you happy vegetables this garden season, and happy bees and butterflies!